Many UK investors don’t realise that a personal tax wrapper – ie an Individual Savings Account (ISA) or a Self-Invested Personal Pension (SIPP) – can be used to shelter foreign shares from tax. Most brokers don’t really advertise this useful rule and some don’t permit foreign shares to be held in these accounts – especially with ISAs. To check whether your broker does or find one who will, see the UK stock broker comparison table. But that’s their decision, not the tax authorities. The UK regulations are clear. To qualify for an ISA, a stock must simply be listed on a recognised stock exchange. A list of recognised exchanges can be found on the HMRC website here. With SIPPs, almost any investments are permitted, including shares anywhere in the world. Some providers apply the same recognised stock exchange restriction for foreign shares, but others allow you to hold almost all overseas stocks and funds [PDF]. That may have answered your question already. However, there are a couple of quirks to the system. And to get the best use of your ISA or SIPP for foreign stocks, it helps to understand way they are taxed. For more on that, read on. First, the twists in the rules. Small cap boards are often not recognised stock exchanges even when the main exchange is. For example, stocks listed on Hong Kong’s GEM board or Singapore’s Catalist board do not qualify, even though main board shares from both countries are eligible. Incidentally, the same rules apply to the UK’s own Aim small cap board – Aim stocks cannot be held in an ISA. However, stocks that are listed both on Aim and a recognised stock exchange abroad would qualify – this is quite common with mining stocks, often dual-listed in London and Australia or Canada. The situation with ADRs and GDRs is the opposite. The fact that an ADR or GDR is listed on a recognised stock exchange does not mean that it can be held in an ISA. What matters is whether the underlying shares trade on a recognised stock exchange. Thus an ADR of ICICI Bank would not qualify for an ISA. The ADR trades in New York, which is recognised, but the underlying shares trade in India, which is not. Lastly, do not assume that foreign exchange-traded funds (ETFs) can be held in an ISA just because many foreign stocks are allowed. They may trade like a share, but as far as HMRC is concerned, they are not the same thing. According to the ISA specialists at HMRC, most foreign funds and ETFs will not be eligible for an ISA. Inside an ISA or SIPP, investment income rolls up without being taxed. No capital gains tax is due on sales proceeds or income tax on dividends. The notional 10% tax credit on UK dividends can not be reclaimed within an ISA or pension, so there is no tax advantage for basic rate taxpayers on dividend income, since their dividends are effectively untaxed in any case. However, higher rate and top rate taxpayers avoid extra tax. There is one small exception to this. The property income distribution (PID) paid by a UK real estate investment trusts is paid net of 20% tax. However, this can be reclaimed for PIDs paid into an ISA or SIPP. So how are foreign shares handled? It’s a similar story. There will be no UK capital gains tax or income tax on the proceeds from foreign stocks held within an ISA or SIPP. Your only tax loss will be any withholding tax (WHT) deducted at source in the country where the stock is listed. Note that you cannot avoid the WHT by using an ISA. A foreign country generally doesn’t care that you are holding the stock in a UK tax-free account. If it can withhold 15% tax under its double taxation agreement with the UK, it will. However, as explained in this article about tax and foreign stocks, many countries automatically withhold more tax at a higher rate than is specified in the double taxation treaty. In that case, you may be able to reclaim some of that excess tax from the foreign tax authorities, just as you can for shares held outside an ISA. The situation with SIPPs is a little more complicated and frustrating. Under some double taxation agreements, dividends being paid into a pension scheme are entitled to lower or no WHT. Since a SIPP is a pension scheme, in theory you may be entitled to a further reduction in WHT if you hold your foreign stocks in a SIPP. In practice, most brokers and SIPP administrators do not implement this for most countries.And because the SIPP is a distinct entity from you (unlike an ISA), you will not be able to handle the reclaim by yourself (it needs to be done by the SIPP trustees). So in general, this potential tax break for SIPPs is squandered. However, any good ISA and SIPP administrator at least should have the facilities in place for you to complete a US W-8BEN form. This will automatically allow you to receive American dividends net of 15% tax, as per the UK-US treaty, rather than the automatic rate of 30%. The US-UK treaty also provides for dividends into pension schemes to be taxed at 0% rather than 15%. Because US stocks are widely held and the process is relatively simple, some SIPP administrators will also arrange for your dividends to be paid with no tax withheld, meaning that the US is one of the few markets where it’s easy to benefit from the further tax relief that pensions schemes are technically due. For more details on claiming refunds, read this guide to reclaiming withholding tax for your ISA and SIPP. Who benefits most from the tax relief? As a general rule, basic rate taxpayers will not benefit from tax relief on foreign dividends. They have no further liability for UK tax anyway and they can try reclaim to reclaim any excess withholding tax above the treaty rate in both a taxable account and an ISA. Their advantage from holding foreign stocks in an ISA or SIPP will usually be due to breaks on capital gains tax in the UK. The main exception will be for stocks from a limited number of countries such as the US where the SIPP can obtain a further reduction in WHT. Technically, it seems possible that shares from countries where the tax paid on dividends must be used as a deduction rather than a Foreign Tax Credit Relief in calculating your tax liability AND where the notional UK 10% dividend tax credit cannot be used would be better off in an ISA, even for a basic rate taxpayer. The tax article talks about these special cases in more detail. But this list of countries affected by both restrictions is very small and it’s a situation that’s unlikely to come up often. For higher rate and top rate taxpayers, there will still be an income benefit because you will avoid having a further liability to UK tax. And if you intend to use up your ISA allowance in full, you may be able to arrange which stocks are held within the ISA and which outside to get the maximum benefit of tax relief. Dividends from countries with the lowest rate of withholding tax will benefit more from being held in an ISA or SIPP. 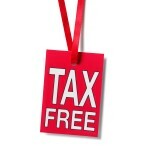 If the foreign withholding tax is zero, you will receive that dividend free of all tax. Conversely, if the dividend is from a country that imposes a 15% withholding tax, your tax saving from an ISA will be at best the extra UK tax that would have been due, because the foreign withholding tax will still be deducted even though the stock is in the ISA. So if you hold a zero-taxed dividend stock outside the ISA and one with 15% withholding tax within the ISA, you will pay full UK tax on the first share while only saving part of the tax on the second one. Your combined extra tax cost will be the amount of the foreign withholding tax. There is one problem with using ISAs for international investing. That’s the rules on holding of foreign currency. With SIPPs, this is not a problem – cash can be held in foreign currencies within a SIPP. But that’s not true for ISAs. Cash must be converted from sterling each time you want to trade and back to sterling each time income is received (both capital gains and dividends). Since many UK brokers charge a substantial FX margin on interbank rates to convert your cash – up to 2% per transaction in some cases – this could add up in the long run. Overall, despite this extra cost you are likely to benefit from the ISA tax shield on your foreign investments. But you should try to minimise how often you have to convert currencies and shop around the broker who offers what you want while having the lowest FX conversion margin. See the UK broker comparison table for some typical rates.